UK challenger Starling Bank’s customers can now register their cards in Garmin Pay for contactless payments. 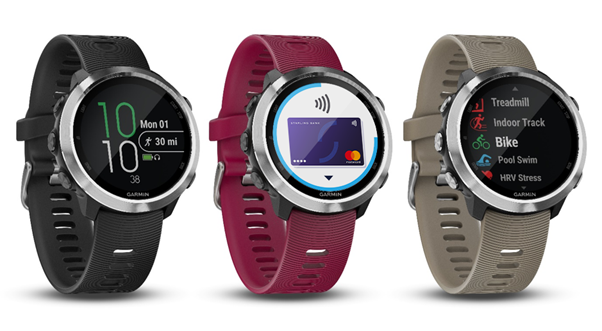 With Garmin Pay, users can collect payment cards on the smartwatch. Purchases are verified with a four-digit code, and the customer can choose between the cards on the display. Garmin Pay can be used anywhere contactless payment is accepted. To pay, tap the clock against the POS terminal. There’s no need for a credit card or phone. The new feature is powered by the FitPay platform and is now available to Mastercard holders from Starling Bank. It is available in Garmin’s Vívoactive 3 and Forerunner 645 Music. If you’re not familiar with Garmin, it has been designing, manufacturing, distributing and selling navigation, communication and information devices and applications since 1989, most of which incorporate GPS technology. Its products are used in the automotive, mobile, wireless communication, outdoor leisure activities, maritime, aviation and OEM applications industries. The firm is headquartered in Switzerland and its main subsidiaries are in the US, UK and Taiwan.